AddThis - Provides an easy, fast and free way to share your content everywhere, and create traffic back to your site. See features. Anaconda - Developer of web creation software and content. Answer.com: AnswerTips - AnswerTips are small bubbles of information triggered by double-clicking any word on an AnswerTips-enabled page. Answer.com: Product Information - Also see Tools and Tips for Bloggers and Webmasters. AnyBrowser - Source for browser compatibility verification. Aquent - Need to hire creative talent fast? Aquent supplies companies with Graphic Designers, Web Designers, Production Artists, Presentation Graphics experts, Writers, Illustrators, Project Managers, and Desktop Support talent on a freelance, permanent, and try-before-you-hire basis. Awesome Tag Cloud Plugin with jQuery and HTML5 Canvas - A cool jQuery plugin that makes uses of Html5 canvas element to generate an awesome tag cloud in multiple shapes. Includes lots of options to set the color, size, font, scale, order, orientation for the tags. Best Fonts for Websites: 25 Free Fonts for Websites - These fonts, which are typically sans-serif, are optimized in the different ways people view websites today. Bonfire Studio - IDE application that enables editing of many file types, including XML, XSL, HTML, and C++. Bravenet - Free guestbooks, message boards, chatrooms, greeting cards, instant messenger, classified ads, email form processing, e-commerce, and other tools for webmasters. Broadvision - A leading provider of e-commerce software applications. Business Development Strategies for Internet (BDSI) - BDSI offers monthly Internet marketing, strategic Internet marketing plans and business web development. Can I Use - Provides up-to-date browser support tables for support of front-end web technologies on desktop and mobile web browsers. Castleford - Providing tailored news articles, blogs and evergreen content for web, social media and email campaigns. Check Your Google Index Status - You can use special searches to see sample results that indicate how your site is indexed by Google. To see a full list of these, use the info: operator, like this: info:google.com. Clean Special Characters from Word Text or HTML Code - Ever try to cut and paste from Word into your blog or HTML code and got stuck with all kinds of Windows specific special characters? Paste your copy from Word, or any other editor, into this tool first and it will strip out these unwated characters, providing you with an HTML-ready version of your content. Clickability, Inc. - Builds, syndicates and manages brand-transparent, interactive Web content saving, retrieving, sharing and printing tools for Web publishers. Color Chart - By VisiBone. Color codes. Also switch to decimal RGB codes. Computer Tyme - Specializes in hosting political and consumer rights sites. Hosts sites that are critical of corporations and in circumstances where companies have made threats over things that you are legally allowed to post in order in an attempte to stifle legitimate comment and debate. CoolText - Online service providing real-time generation of customized graphics. dlvr.it - Helps publishers deliver their content to the social web, including Twitter and Facebook. Dotcom-Monitor - Monitor the performance and uptime of your network, servers and applications from around the world. Also see LoadView for flexible load testing from the cloud. DreamHost - Shared web hosting, virtual private servers, dedicated hosting, WordPress optimized and cloud web hosting. Dynamic DNS - Wikipedia article: Dynamic DNS is a method / protocol / network service that provides the capability for a networked device, such as a router or computer system using the Internet Protocol Suite, to notify a Domain Name System (DNS) name server to change, in real time, the active DNS configuration of its configured hostnames, addresses or other information. A popular application of dynamic DNS is to provide a residential user's Internet gateway that has a variable, often changing, IP address with a well known hostname resolvable through standard DNS queries." Dynamic Drive - A comprehensive DHTML site featuring DHTML scripts, tutorials, and more. Dyn - Provides a global network of hundreds of real-time sensors, millions of test-points and rapidly expanding traffic management points-of-presence (POPs) to give you the tools to keep your website, Internet-connected applications, and business operations up and running at all times. Entrust - Service for securing digital identities and information. Firm List, The - A guide to web design firms from around the world with over 8,000 listings in 85 countries. FormSite - HTML form builder. Create surveys, order forms, registration forms, reservation forms, sweepstakes, and more. Free HTML Editors/Free Web Editors - Beginning and advanced HTML editors, WYSIWYG web editors, website builders. FreeFind - Add a search engine to your website. Frontier - Frontier is a powerful Web content management system, built around an object database, scripting language, script editor and debugger, outliner, multi-threaded runtime, integrated HTTP server, distributed computing protocols such as XML-RPC and SOAP. Frontier also includes our browser-based content system, Manila. From Userland. Get Fvicon - Offers an API that allows users to retrieve favicons from website URLs. GoGetSSL - Provides SSL certificates like domain validation SSLs, business and extended validation, and CSR generation. Android Emulator - The Android SDK includes a mobile device emulator - a virtual mobile device that runs on your computer. The emulator lets you develop and test Android applications without using a physical device. Fetch as Google - Tool that lets you see a page as Google sees it. Also, Fetch as Google to check the crawlability of your site. Google Adsense - A fast and easy way for website publishers of all sizes to display relevant Google ads on their website's content pages and earn money. Because the ads are related to what your visitors are looking for on your site - or matched to the characteristics and interests of the visitors your content attracts - you'll finally have a way to both monetize and enhance your content pages. It's also a way for website publishers to provide Google web and site search to their visitors, and to earn money by displaying Google ads on the search results pages. Google Custom SiteSearch - Enables site visitors to quickly navigate information on a company's extranets and public websites. Put Google's award-winning search to work on your website to enable customers, employees, and partners to find the information they need. Google Feedburner - Web feed management services. Google Mobile-Friendly Test - This test will analyze a URL and report if the page has a mobile-friendly design. Google Search Console - A no-charge web service by Google for webmasters. It allows webmasters to check indexing status and optimize visibility of their websites. Google Structured Data - Google uses structured data that it finds on the web to understand the content of the page, as well as to gather information about the web and the world in general. Also see the Google Structured Data Testing Tool. HeadlineViewer - A Windows application that lets you see news headlines from a configurable list of Headline Providers (news sources and weblogs). Helios Calendar - A great web calendar is more than just boxes on a screen. Helios Calendar offers a comprehensive suite of event publishing, event promotion and community building tools. HEX to RGB Color Converter - HEX to RGB and RGB to HEX color converter. High Rankings - Search engine optimization services. HostGator - A leading provider of web hosting, reseller hosting, VPS hosting, and dedicated servers. Over 8,000,000 websites trust HostGator for their web hosting needs. How to Create a Twitter RSS Feed - How to create a Twitter RSS feed now that Twitter has removed the API that everyone was using. Provides video demonstration, necessary Twitter Developer and Google Script URL links and Google Script code. HTML Kit - A full-featured text editor designed to help HTML, XML and script authors to edit, format, lookup help, validate, preview and publish web pages. HTML Character Encoder - Encode text with accents and special characters into HTML character entities for use in a web page. Additionally, his free online tool can also decode some text. HTML Validator - A Mozilla extension that adds HTML validation inside Firefox and Mozilla. The number of errors of a HTML page is seen on the form of an icon in the status bar when browsing. The details of the errors are seen when looking the HTML source of the page. htmlGEAR - Free add-ons to enhance your site. Internet Explorer - This page contains downloads for all critical updates, recommended releases, and other beneficial system updates for Microsoft's Internet Explorer browser. Keyword Density Analyzer - Free tool to help you find the most common words and phrases on a page. Kosmopolites - Website language translation services. Let's Encrypt - Anyone who has gone through the trouble of setting up a secure website knows what a hassle getting and maintaining a certificate can be. Let's Encrypt automates away the pain and lets site operators turn on and manage HTTPS with simple commands. No validation emails, no complicated configuration editing, no expired certificates breaking your website. And of course, because Let's Encrypt provides certificates for free, no need to arrange payment. See How It Works. Let's Encrypt is a service provided by the Internet Security Research Group (ISRG). LinkScan - Link checking and website management tool. Liquid XML Studio - A comprehensive XML development environment, comprising a set of editors and XML tools designed for developing XML solutions. Liquid XML Studio comes in three editions: Starter, Designer and Developer. To see the full set of features in each edition see the features comparison chart. mnGoSearch - Web search engine software. Moblie Testing Tools - There are various tools and online resources to help you build tests for your mobile devices, record and run automated UI and unit tests for mobile apps and code libraries, as well as help you test responsive and fluid web interfaces. This page links to several of them. Moreover - Put top news stories headlines on your website. Hundreds of news categories to choose from. MyContactForm - Create free email forms, contact forms, feedback email forms, questionnaires, surveys, polls, or any other type of web form. No special servers or programming knowledge required. Spam protection. Free [limited] service. MyComputer - Website management tools to monitor website traffic and track visitors, plus website enhancements including online polls, guestbook, message boards and banner networks. NewsDesk - RSS headline reader for Windows. NewsKnowledge - Customizable web watch and syndication service. News headlines for web watch and syndication services in XML and other formats. Newz Crawler - Web news reader and browser. Pico Search - Search hosting. Free hosted search engine for your site. Pixels to Ems Conversion - Tool allows you to work out the em font sizes from pixels (or vice versa). Pressflex - A leading provider of Internet services to European publishers. Programmable Web - Keeping you up to date with the latest on mashups and the new Web 2.0 APIs. Programmers Paradise - An international marketer of software targeting the software development professional and information technology professional within enterprise organizations. Quantcast - Quantcast's free audience measurement for marketers provides detailed user demographics and deep audience insights at the campaign, site and conversion level. This information includes traffic, demographics, geography, site affinity and categories of interest. Recommended Web Tools (RWT) - Geared towards the beginning web master, web designer and web hobbyist, RWT strives to recommend inexpensive web design tools to create your own website. Rendera - Helps you learn HTML5 and CSS. Type in your HTML code and see it rendered in realtime. Then style it with CSS. You can use any of the HTML5 or CSS3 tags your browser supports. Repost - Republish original content from top publishers with no negotiations, phone calls, or hassles. Free. Or syndicate your full articles with original branding, attribution, and ads directly onto other sites. Responsive Design Testing - Test your responsive web design. River2 - An app that runs in the OPML Editor that implements a River of News aggregator.Also see River2 Quick Start. RSS: How You Can Use It and Finding RSS Feeds - This page is about using RSS, from a non-technical standpoint. Search Tools for Web Sites, Intranets, and Portals - Information, news and advice about web site searching technology. SharpReader - Free applications summarizes the latest news or blog postings from any site that offers news feeds. Shockwave - Playing, advertising, working with Shockwave. siteLevel - Website internal search service. Social Searcher - A free social media search app. Atom - See documentation here. BlueGriffon - A WYSIWYG content editor. Mercury - A full featured HTML5 editor. Notepad++ - Free source code editor. Also see Directory for Notepad++ Plugins. SuperNova - Low cost web hosting and domian registration. Swiffy - A Flash to HTML5 converter that helps make SWF files available to a larger audience. TagCrowd - Create your own word cloud from any text to visualize word frequency. Technorati - Allows you to find what's new in the blogging universe, and find out who's linking to whom. Simply type in a URL of a blog, website, or interesting article on the web, and find which bloggers are link to the URL. theCounter - A free counter with weekly email stats. The Premium Edition features in-depth reports such as statistics on browser usage, screen resolution, operating systems, and site referrers, and a Web site traffic reports page that can be accessed via the Web, 24 hours a day, 7 days a week. Topsy - Analytics: search and analyze the social web. Trademark Hunter - Helps businesses and trademark attorneys search, download and manage United States trademarks. Created by Michael S. Neustel an intellectual property attorney. trafficFile - Advanced web counter and statistical analysis. TYPO3 - A free, feature rich, Content Management Framework built with PHP and running under many Unixes and Windows. TweetsWind - A widget that lets you display Twitter timelines on your blog or website. URL Canonicalization Test - Test your site for potential URL canonicalization issues. Canonicalization describes how a site can use slightly different URLs for the same page (for example, if http://www.example.com and http://example.com displays the same page but do not resolve to the same URL). If this happens, search engines may be unsure as to which URL is the correct one to index. Learn more about canonicalization issues. W3C Developer Tools - Open source tools. CSS Validator - Checks your Cascading Style Sheets (CSS). Internationalization Checker - Checks level of internationalization friendliness. Link Checker - Checks your web pages for broken links. Markup Validator - Checks the markup of your Web documents, HTML or XHTML. Mobile Checker - Be Mobile Friendly. Nu HTML Checker - Checks HTML documents. RDF Validator - Checks and visualizes RDF documents. RSS Feed Validator - Validator for syndicated feeds. RSS and Atom feeds. Unicorn - Unified validator. HTML, CSS, links and mobile. Web Design Tools - A directory provided by Information Technology Systems and Services at the University of Minnesota. 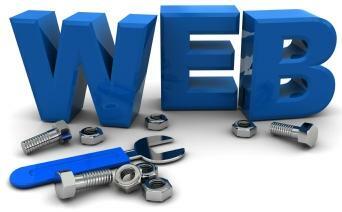 Web Host Industry Review, The - Web host industry news and analysis. Web Link Validator - Site management and link checker tool. WebAttack - Internet tool provider. Download freeware and shareware programs from one of the world's largest collections of Internet software. Webgenz - An object-oriented content management system and web site development tool for Windows. 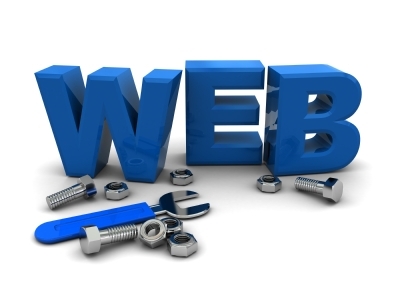 Webmaster's Interactive Tools - Use these tools to submit, and promote your web site. Use the various interactive utilities - such as utilities site tuneups, link checking, meta writing, site submission, and search tools - to find and solve many problems. Website Evaluation Tools - Learn how to improve your website rankings and online visibility through SEO, social media, usability and more. Clean up broken links. Scan backlinks. And more. Browserstack - Test your website for cross browser compatibility across 700+ browsers. Check My Links - A link checker that crawls through your webpage and looks for broken links. Fetch as Google - Enables you to test how Google crawls or renders a URL on your site. This tool simulates a crawl and render execution as done in Google's normal crawling and rendering process, and is useful for debugging crawl issues on your site. Google Mobile Friendly Test - This test will analyze a URL and report if the page has a mobile-friendly design. Google Search Console - Understand and improve your site in Google Search. HTML Validator Pro - Free online website checker. Enter your URL and its robot finds and W3C validates up to 50 pages of your website. HTML Validator - W3C HTML validation by URL address, file upload, or text copy and paste. Hubspot Marketing Grader - Allows you to evaluate the effectiveness of your marketing by looking at many factors, including your website, social media activity, mobile responsiveness, blogging activity, email marketing, lead nurturing, and analytics. Iwebchk - Comprehensive website review and analysis. Moz Pro - Improve rankings and search engine visibility with this SEO toolset. Pingdom Website Speed Test - Enter a URL to test the load time of that page, analyze it and find bottlenecks. Remove'em - Tool for cleaning up bad links. Screaming Frog SEO Spider - Spiders websites' links, images, CSS, script and apps from an SEO perspective. It fetches key onsite elements for SEO, presents them in tabs by type and allows you to filter for common SEO issues, or slice and dice the data how you see fit by exporting into Excel. SEO Audit Tool - A free online tool to identify common SEO errors with a website. Seoptimer - SEO audit tool..
SEOquake - A popular and handy analytic seo-tool for Firefox, Chrome and Opera browsers. SEOquake helps to obtain an information about any site for a wide range of parameters such as page rank, Google index, Alexa and many others. Its Keyword Density tool serves to demonstrate a number of times a keyword or phrase appears on a web page. Varvy's SEO Overview Tool - Displays domain strength, links, image seo, social counts and mentions, page/technical SEO, page speed and more. W3C CSS Validation Service - W3C CSS validation by URL address, file upload, or text copy and paste. Website Grader - A free online tool that grades your site against key metrics like performance, mobile readiness, SEO, and security. Websiteoptimization - Free web site speed test to improve website performance. Enter a URL below to calculate page size, composition, and download time. The script calculates the size of individual elements and sums up each type of web page component. Based on these page characteristics the script then offers advice on how to improve page load time. Woorank - In-depth website analysis. Website Malware and Security Scanner - Free scan from Sucuri SiteCheck scanner will check the website for known malware, blacklisting status, website errors, and out-of-date software. Website Monitoring - Builds systems to monitor websites, blogs, portals and online applications worldwide. Website Safety Report - Find out about the safety rating of a website before visiting it. AVG Threat Labs reports if a virus has been detected on a website in the last 30 days and helps you stay safe online. Where is my domain name routing? A tool that performs the necessary lookups to check where a domain name is routing, then graphically displays this information for easy review. Wildgrape Newsdesk - RSS headline reader for Windows. NewsDesk reads headlines from thousands of sources, including popular websites and weblogs. WordPress - Web software you can use to create a website or blog. Also see WordPress Codex, the online manual for WordPress and repository for WordPress information and documentation. WordReference - Translate any English word in any Web page with a few quick clicks. This tool makes every word on your Web page translatable to Spanish, German, French, and Italian. XiY - XiY.net's free url redirection service redirects your long and hard-to-remember website URL address to the short and easy one. No matter how often you change your hosting service provider, you can keep your XiY.net URL address for good. Xenu's Link Sleuth - Spidering software that checks Web sites for broken links. It performs verification on normal links, images, frames, backgrounds, and local image maps. It also displays a continously updated list of URLs that you can sort by different criteria. Users can request reports at any time. XML-Sitemap Generator - Create your xml sitemap, keeping search engines informed of changes to your site. Also see documentation. This webpage last updated on Wednesday, October 31, 2018 2:14 PM.